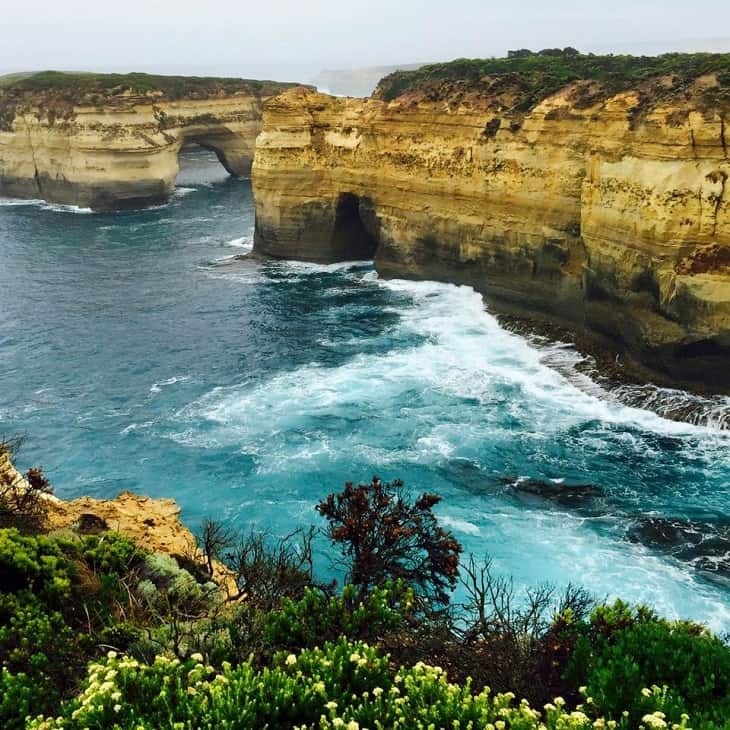 The Great Ocean Road is one of the major tourist destinations if you are in Australia. Stretched over 243 km between Torquay and Warrnambool, this road was built by the WW I soldiers in the memory of their martyred comrades. It doesn’t matter whether you start from Adelaide or Melbourne, you should pack your bags for at least 3 days to gulp down completely what this road has to offer. Coming over to attractions en route, you cannot miss this lake situated in a volcanic crater. Especially if you are driving during summer, the beautiful blue color of the scenic lake will take your breath away. If you want to feel the power of waves hitting the rocks with full force, this is the spot for you. The uniqueness lies in the rock structure where due to acid eating out most the limestone beneath, a huge rock arch has formed in. You can take the stairs from the rock and go down to explore the gap formed underneath, but considering that acid has eaten up most of the limestone, people generally tend to stay away from going down. It would be rather much fun if you stand on one corner and feel the huge waves come crashing on the rock. You might already know about this place as it is the most popular spot for people traveling on this road. Because of its popularity, you can expect a huge crowd and see people swarming in at any time of the day. But still, it will not stop you from admiring the beauty of this place. If you time it properly, reach at this place during sunset and rather than going on the beach, stand atop of the mountain, from where you can have the full view of the gorge and rock formation at its end, and you will be mesmerized by one of the most beautiful sunsets you have seen in your life.